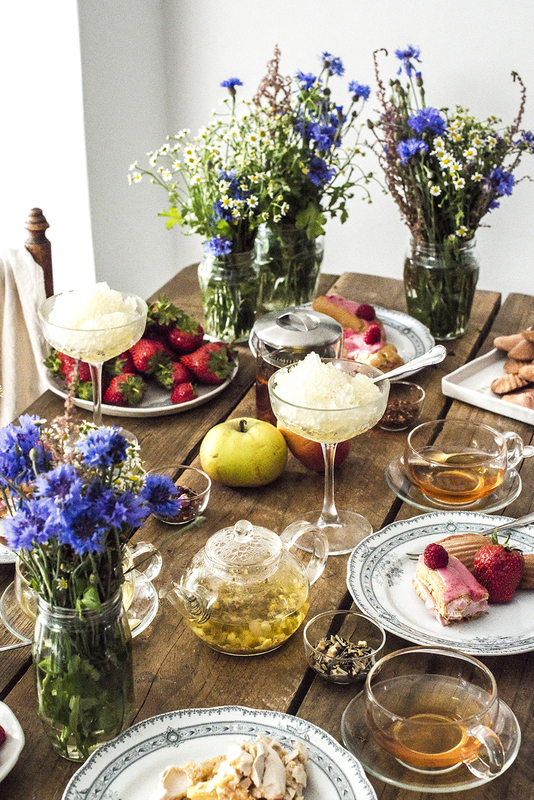 I've "played" with food pairings before and have mostly had a lot of fun with it (some complete disasters notwithstanding), so I wanted to really go all out this time with an afernoon tea that complements the beautiful new fruit and floral tea range from JING Tea. Instead of just complementing it though, I decided to take fairly literal cues from the flavours and translate them into baked goods, because each of those teas is seriously aromatic with a very distinct taste. If you haven't tried the teas yet, I would honestly urge you to give them a go. Now, most of you will know me as a die-hard coffee drinker, so me advocating tea might come as a bit of a surprise. Even more of a surprised might be to find out that I haven't had a single cup in over six (!!!) weeks. Since I needed to replace my coffee with something else, herbal teas seemed like the best and tastiest alternative. 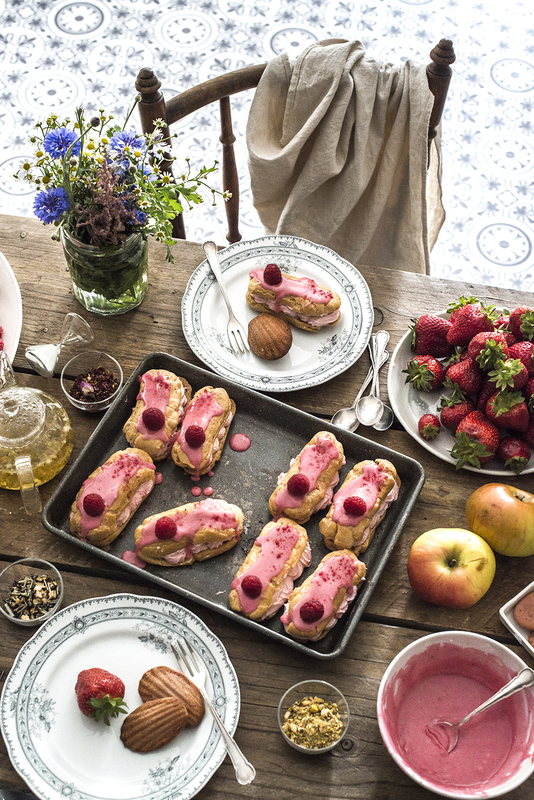 If any of these sound good to you, read on and prepare yourself for friends to knock on your door to join you for your afternoon tea. Because of the different elements that need to cool down for substantial amounts of time, I would advise to prep everything one day ahead of assembly. You could add some cream on the top if you're so inclined and I did briefly contemplate it, but I found the curd to be so rich as well as delicately flavoured that I decided against it. I tried the filling with a whole tablespoon of rosewater which was too strong a flavour for my test peeps. I loved it, but then I'm very partial to strong flavours. So, 1/2 a tablespoon gives a beautiful rose and raspberry flavour that won't overpower your tastebuds. This one is best made the day before because it needs at least 8 hours to freeze. Disclaimer: I have been compensated for this post by JING Tea, however, all images, recipe, writings and opinions are my own. And yes, I really have given up coffee, too.